Bright 32 in tub . 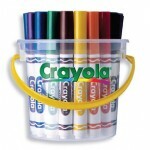 Crayola Markers come in a variety of colours and formulas so kids can create different designs and special effects. 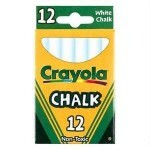 ..
Chalk Board Chalk Assorted Colours 12PC Chalk residue falls down the board rather than floating through the air - this is one of the safest, cleanest and highest quality chalks available. Pure, natural, high quality ingredients and careful manufacturing process create a chalk that is extremely ..
Chalk Board Chalk white - 12pc Chalk residue falls down the board rather than floating through the air - this is one of the safest, cleanest and highest quality chalks available. 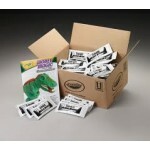 Pure, natural, high quality ingredients and careful manufacturing process create a chalk that is extremely den..
Classic Markers 32 in a tub Crayola Markers come in a variety of colours and formulas so kids can create different designs and special effects. 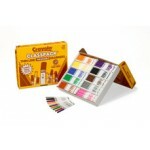 ..
Classic Washable 200pc Crayola Markers come in a variety of colours and formulas so kids can create different designs and special effects. 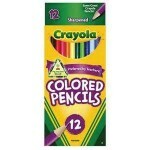 ..
School - 12pc Crayola coloured pencils are made with thick, soft leads so they won't break easily under pressure. 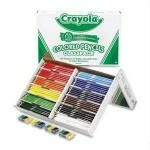 The smooth colours are perfect for colour mixing and blending, as well as practicing more detailed techniques. 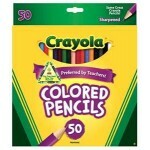 ..
School - 24pc Crayola coloured pencils are made with thick, soft leads so they won't break easily under pressure. The smooth colours are perfect for colour mixing and blending, as well as practicing more detailed techniques. 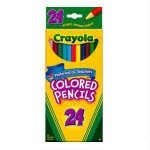 ..
Classpack - 20x12 colours - PC910 - 240pc This bulk-size set of coloured pencils is an economical way to supply and entire class. 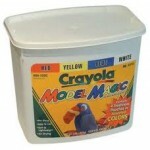 Comes with 12 colours and 12 sharpeners. 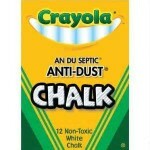 ..
Chalk Board Chalk White Dustless - 100pc Chalk residue falls down the board rather than floating through the air - this is one of the safest, cleanest and highest quality chalks available. 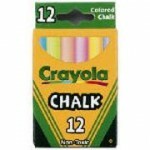 Pure, natural, high quality ingredients and careful manufacturing process create a chalk that is extremely.. 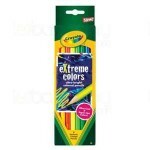 Extreme Coloured Pencils - Ultra bright neon colours assorted - Set 8 Super bright neon pencils for art with an edge. Easy to sharpen, lay down is smooth and super bright. .. Kids can be even more colourful and wear their art in a variety of vivid colours which can be transferred to fabric with an iron. 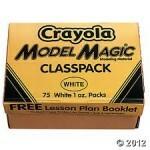 The crayons are safe, fun and easy to use. 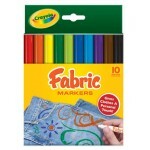 Fabric Crayons - 8 colours ..
Set 10 assorted Bright fabric markers let your create vivid, colourful designs - even on dark colours. 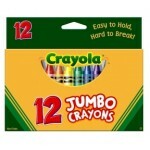 ..
Jumbo Crayons Bright 68x14mm - 12'sCrayola My First Crayons were specially designed to be your child's first crayon. Their large size makes them easy to hold and hard to break. 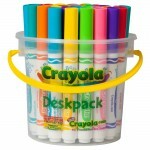 Colouring is an important part of your child's creative development and these extra large crayons were designed to help t..
Easy to hold, hard to break! 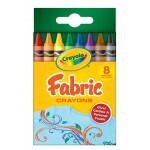 Large school crayons - 10 assorted colours ..
Large Washable Crayons - 8's . 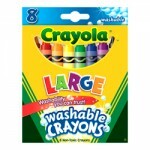 Ultra-Clean Washable Large Crayons are just the right size and strength for young colouring book users. 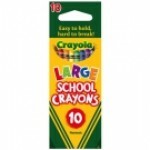 Large size crayons are 11mm x 101mm and provide bright colours, smooth laydown, easy blending and non-flaky colouring. . Crayola Ultra-Clean Washable Crayons .. 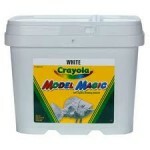 Single Sachet 1oz - Light weight compound for modelling - 1pc ..
Class Pack - 75x1oz WHITE Light weight compound for modelling - 75pc ..
4 Colours Assorted - Light weight compound for modelling in a bucket - 907gm ..
Bucket - WHITE - Light weight compound for modelling - 907gm ..